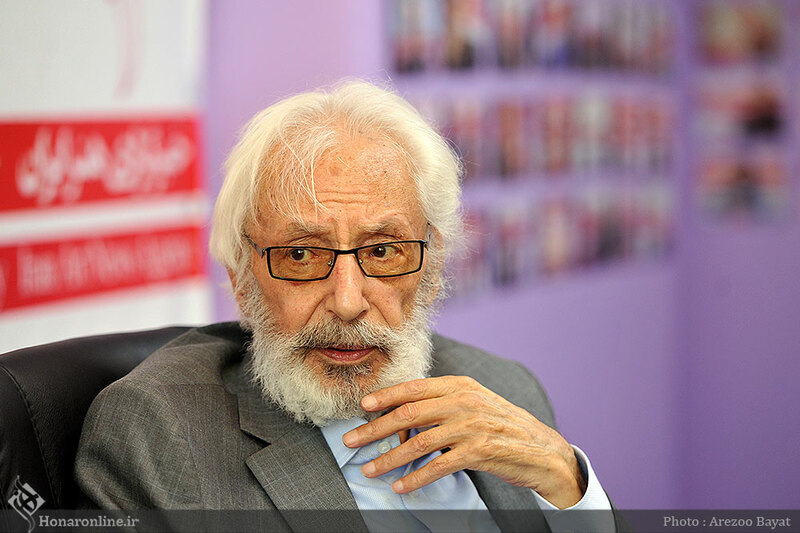 TEHRAN - Jamshid Mashayekhi, one of the "top five actors of Iranian cinema" who starred in such acclaimed movies as "Kamalolmolk" and "Chrysanthemum", died at Tehran's Erfan Hospital on Tuesday. He was 85. "Our father rests in perfect peace," his children Nader, Naghmeh and Sam wrote in a post published on Mashayekhi's Instagram. He began his acting career in Luigi Pirandello's "The Doctor's Duty" in 1957. Gholam-Hossein Saedi hired him to act in his "Upper and Lower Case A" and he also played a role in "The Nest of Jackal and Viper" directed by Nasirian. He also collaborated with director Hamid Samandarian in staging Jean-Paul Sartre's "Morts sans sepulture". He made his acting debut in cinema in 1964 with Ebrahim Golestan's "The Brick and the Mirror", which was reviewed in Venezia Classici at the 75th edition of the Venice International Film Festival in 2018. His role as Khan Dai in Masud Kimiai's 1969 cult film "Qeisar" won him fame. 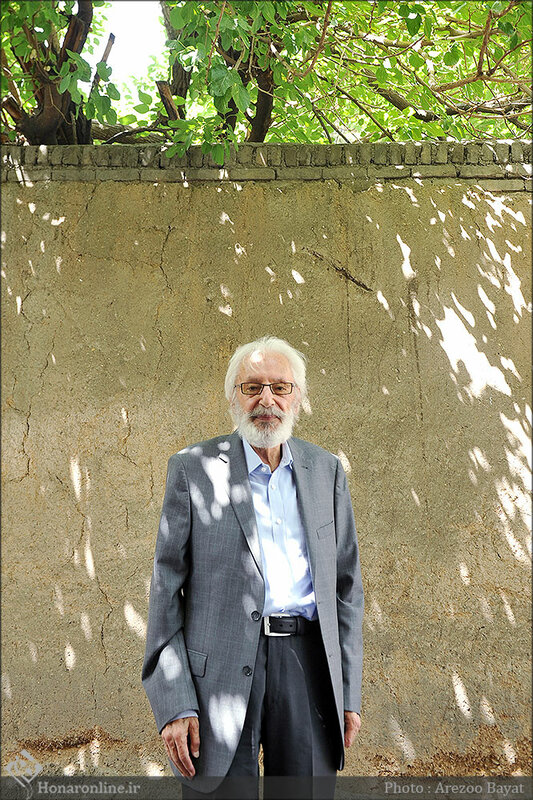 Collaboration with Iran's new wave filmmakers such as Dariush Mehrjui, Nasser Taqvai and Bahman Farmanara also enriched Mashayekhi's career in pre-revolutionary Iran. However, he remained in eclipse in that cinema, which preferred protagonists played by such actors as Behruz Vosuqi, Mohammad-Ali Fardin and Nasser Malakmotiei. Mashayekhi and his contemporaries, including Keshavarz, Nasirian, Rashidi and Entezami, were highly regarded in Iran's post-revolution films. He starred in the title role in Ali Hatami's "Kamalolmolk", which won him the Cyrstal Simorgh for best actor in 1984 at the Fajr Film Festival, which was established to celebrate the Islamic revolution. In 1985, director Rasul Sadr-Ameli's drama "Chrysanthemum" brought him one more Cyrstal Simorgh at the festival. 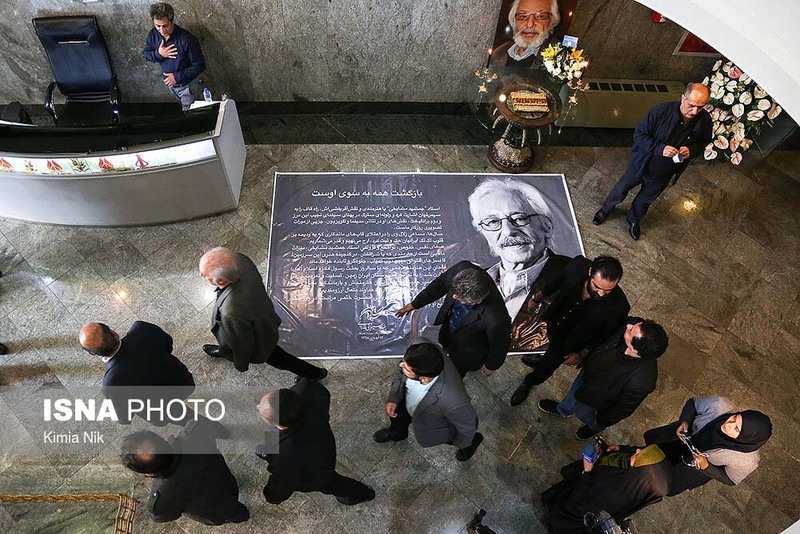 Many Iranian officials, including President Hassan Rouhani, Foreign Minister Mohammad Javad Zarif and Culture Minister Seyyed Abbas Salehi, sent messages of condolence to Mashayekhi's family. "By his fine performances in films and society, this stylist artist of stage and screen left a good name of himself and a brilliant career," Rouhani wrote in his message. حجاب چهره ي جان ميشود غبار تنم خوشا دمي كه از آن چهره پرده بر فكنم . آمد اما، آن روزي كه هرگز در باورمان به آن نمي انديشيديم . در مقابل خواست الهي تسليم هستيم و با آرزوي آرامش ابدي براي پدرمان ، وعده ي آخرين ديدارمان جهت بدرقه به خانه ابدي روز شنبه ١٧ فروردين ساعت٩:٣٠ از مقابل تالار وحدت به سمت بهشت زهرا قطعه هنرمندان . نادر، نغمه و سام مشايخي.